To see ourselves out for the summer, I thought the BEST post would be my TOP TEN beauty items that I will be using to death over the next three months. Whether your going away on hols, or just enjoying the UK sun - these are the items that you NEED this summer! Protecting your skin is an obvious one, but loads of people forget about their lips! 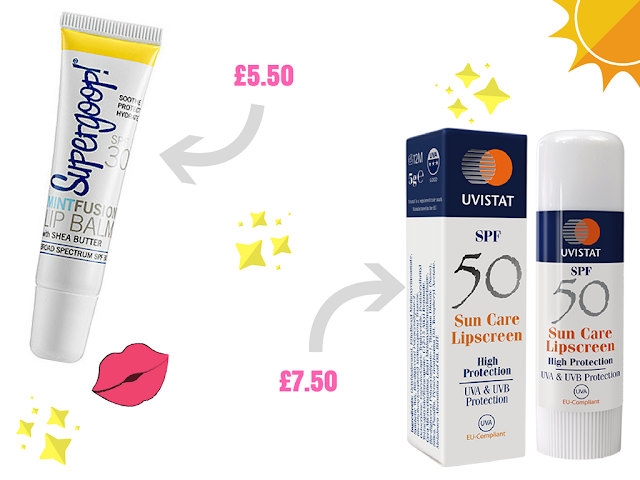 A good quality lip balm is so important on sunny days - it makes sense when you think about it! The one you'll hear a lot of gurus talking about is the Supergoop! AcaiFusion Lip Balm with SPF30, which i'm pretty sure you can only get on Beauty Bay. A great drugstore alternative is the Uvistat Lipscreen with SPF 50. Having a liquid illuminator in your makeup bag is such a blessing in the summer time! Apply a thin layer before your foundation, or even mix it into your favourite base for gorgeous dewy skin. 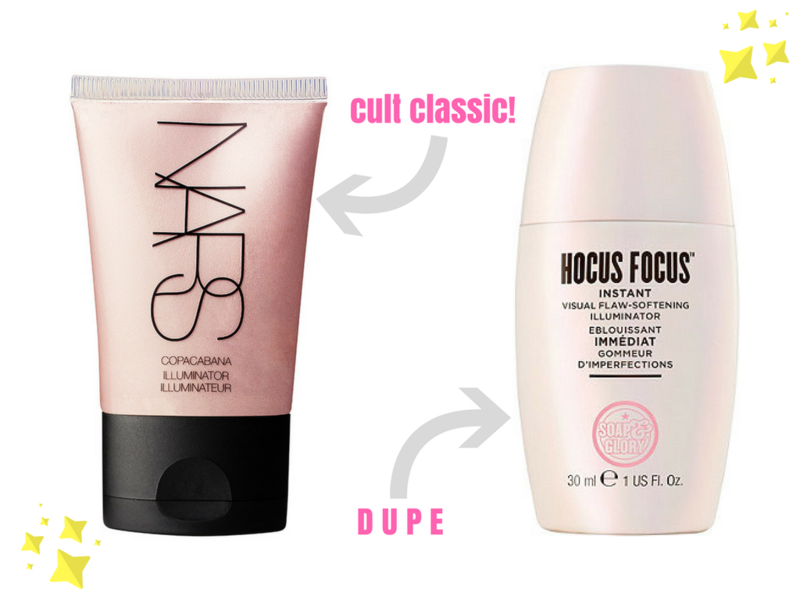 I adore this liquid illuminator from NARS in Copacobana, but it is pretty pricey! An amazing alternative is the Soap & Glory Hocus Focus. On minimal makeup days, just dab it where you would normally highlight for a much more natural glow. I love how salt spray looks in the summer time! It makes your hair looks so effortless, wavy and beachy. 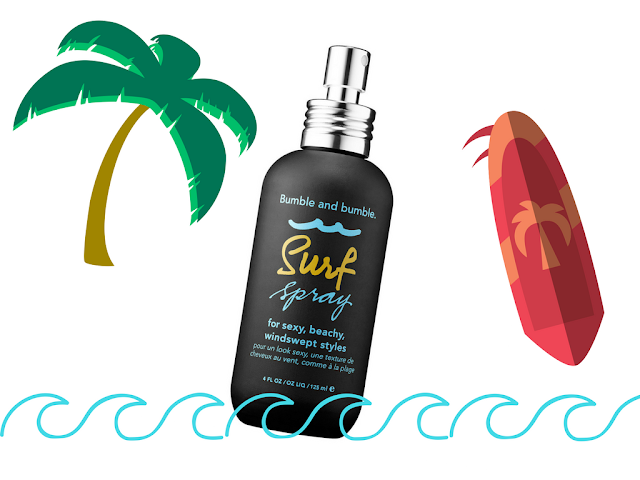 This Surf Spray by Bumble and Bumble is the BEST one I've ever used! You can use it on dry hair, but I prefer to use it when my hair's still slightly damp. Spray and scrunch! As well as liquid illuminators, I looove cream highlighters in summer - they are so essential. I love them because you can use them on your face, and then all over your body if you're going out for dinner on a summers evening. 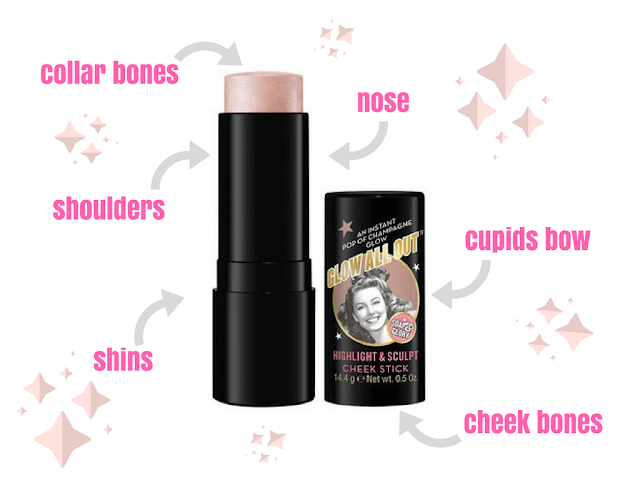 The one I'm loving at the moment is the Soap & Glory Glow All Out Cheekstick. I have always found that it works SO well in the heat, cream highlighters actually look a lot better if your face has been a bit hot and it's settled in. The downside about summer is that you have to keep your legs hair free! It's so important to ditch the disposables - they will NEVER do as good a job as a good quality razor. 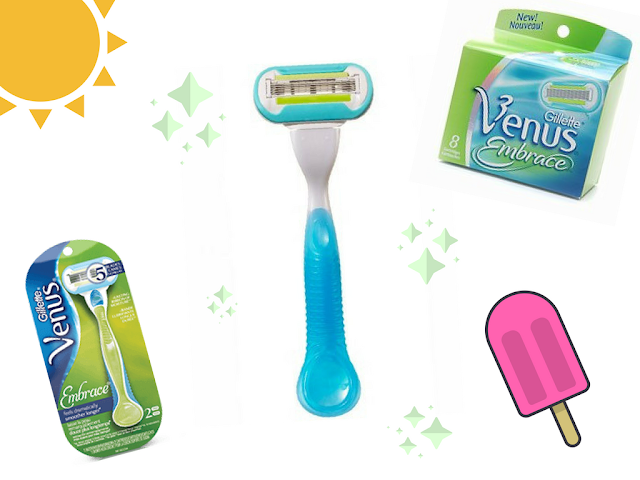 I love the Gilette Venus Embrace razor. I have had it for years, it really is more value for money! It's £6.66 for the razor and 5 blades at Boots! I rarely ever change the blades as they are SO sharp and long lasting - woo! Sorry, another glowy product! During the day time in the summer I tend to just stick to liquid and cream highlighters, but in the night time, I looove to use powders too. Using a powder over a cream or liquid highlight really gives the product something to stick to and makes it POP! 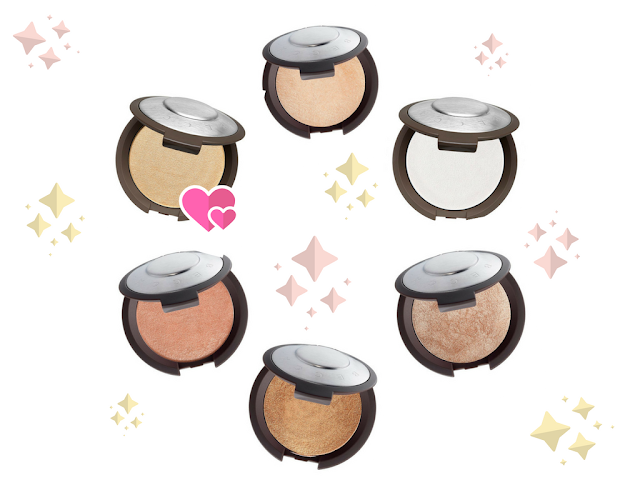 In my opinion, the best highlighters EVER are the Becca Shimmering Skin Perfectors (my fave shades are Moonstone and Opal). I am sooo lazy and barely ever paint my nails. If I do then it's normally in the summer! 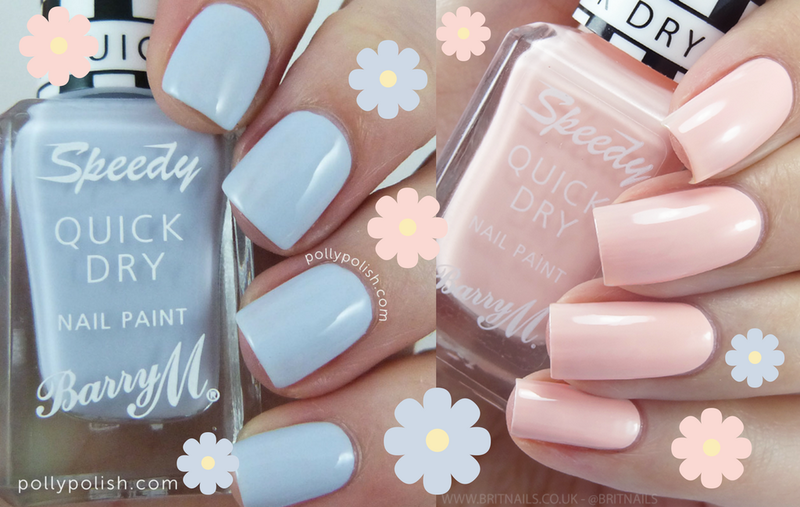 Pastel nails are so so cute in the warmer months. I always buy Barry M nail varnishes, as they have the BEST range and are so affordable! I love their 'Speedy' nail paints in 'Eat My Dust' and 'In A Flash'. 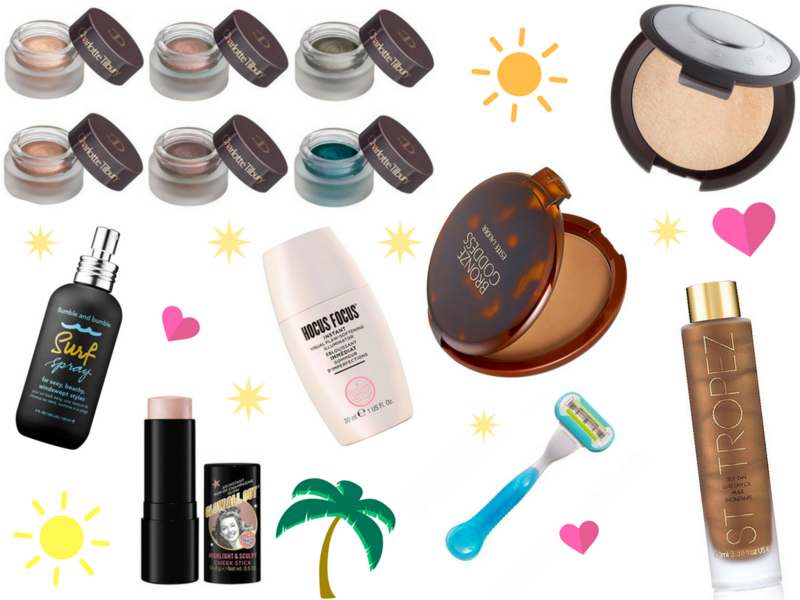 Bronzer is probably my number one must-have for the summer! I never really contour when it's hot. I think it's so much nicer just to use a huge fluffy brush and warm up the face. 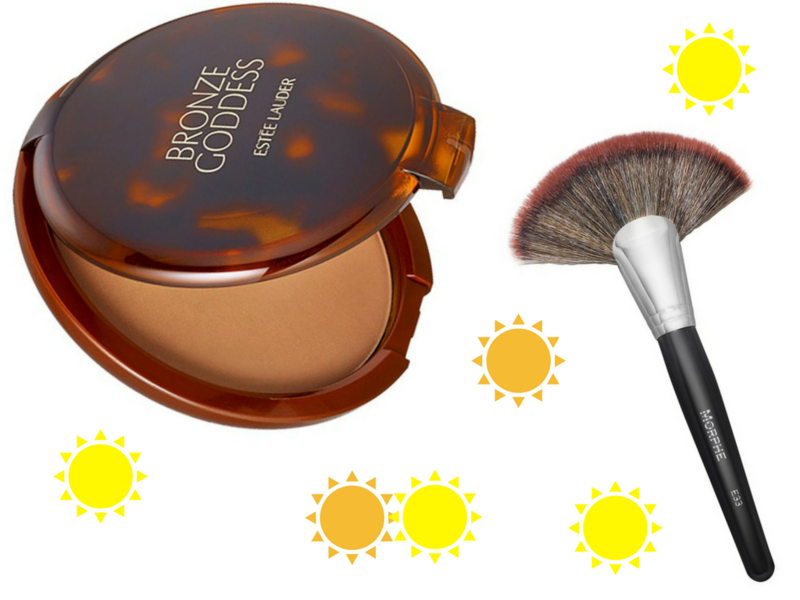 My favourite bronzer of all time is Estee Lauder's Bronze Goddess in 'Medium'. I know it's expensive, but it is literally the BIGGEST bronzer ever, and it lasts for months and months! I use the Morphe E33 Deluxe Fan Brush and apply it roughly to my cheeks, temples and jaw line. This is definitely the most extra 'essential', but oh my god! Once you use it you cannot live without it! If you want to glow like J-Lo then you NEED to take this step. 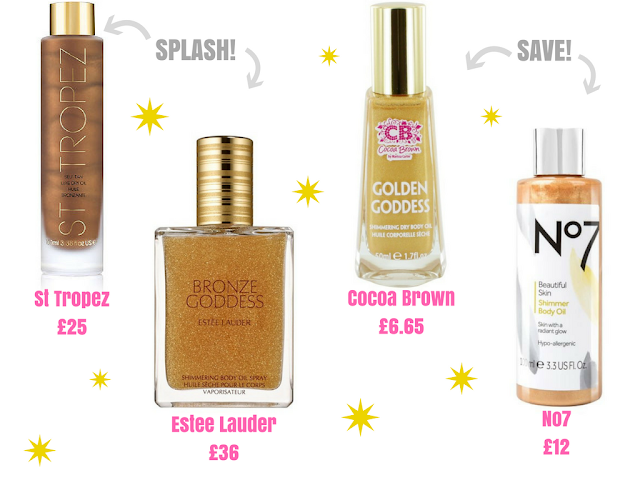 Once you've tanned, use a tinted shimmery body oil on to make your skin look incredible. Apply the oil to your colour bones, shoulders, and shins with a duo fibre brush. With bronzed skin, cream eyeshadow just looks so so gorgeous. I think it looks so much more shimmery, smokey and summery! I have always adored the Charlotte Tilbury Eyes to Mesmerise Cream Eyeshadows, but they are so expensive! 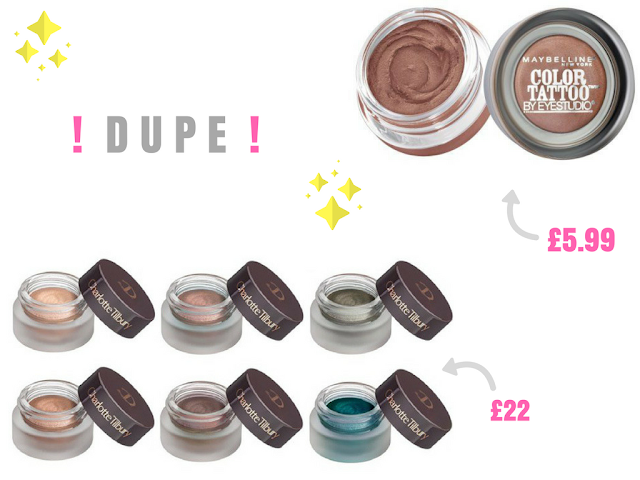 A perfect dupe are the Maybelline Colour Tattoo Cream Eyeshadows. They are just as creamy and pigmented! What are your 2017 summer essentials?! And what do you want Soap & Glory to bring to YOUR university next academic year?! Let me know!